Having No Control Over Things! Playlist Index Alphabetical (Main Channel)! Please pray a prayer for our world! 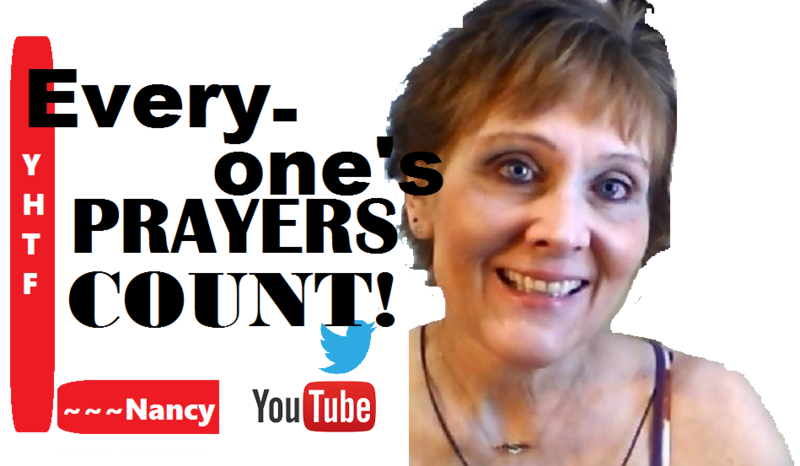 ~~~Nancy Each Person Needs To Pray! Everyone's Prayers' Count! God made each one of us specially! Many people say that they don't believe that God hears their prayers! The truth is that God hears all prayers! Everyone's prayers are important to God! Take time out for prayer and meditiation! It is very necessary for good health! Related articles and topics of interest! 12 Powerful Morning Prayers! On video!